Happy Monday! Today I am linking up with The Teaching Tribune for their 1st Monday Meet Up. This linky is part of their Summer Bloggin' Series! After reading my post, be sure to hop over and check it out. Today I will introduce you all to one of my friends and fellow blogging buddies! Ashley is the amazing woman behind the blog Just Reed! 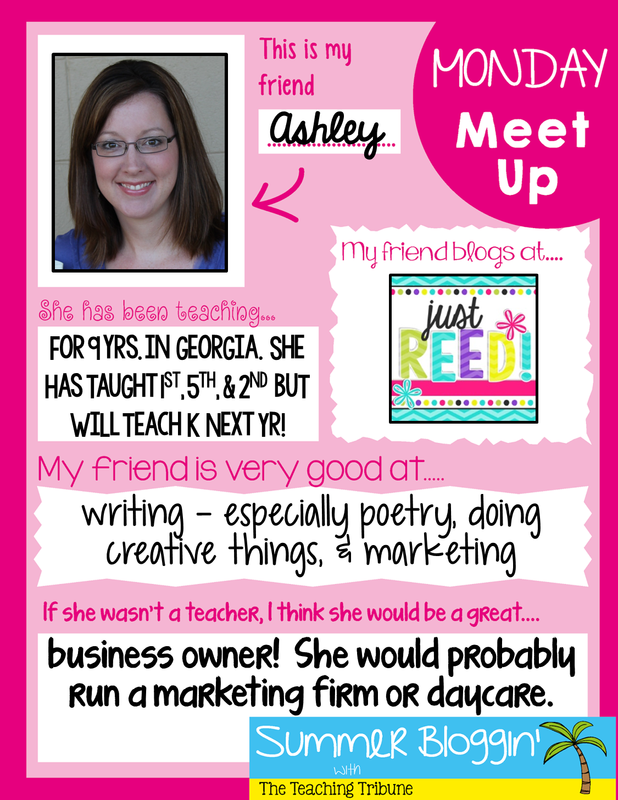 She also sells products on TpT under the name Ashley Reed. Ashley is such a talented person and I want to tell you all about her! 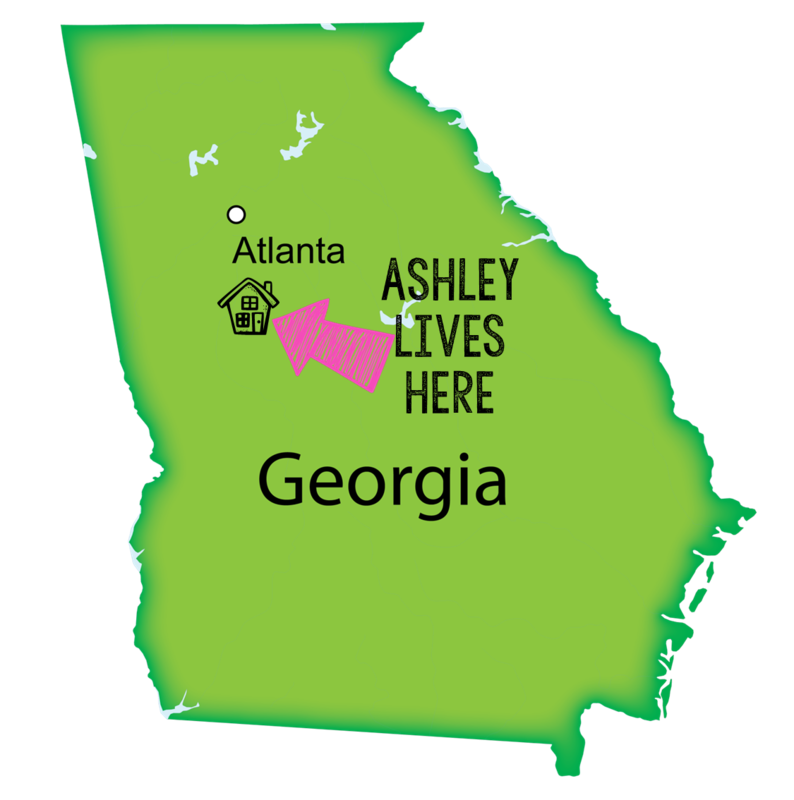 Ashley has been teaching in her hometown of Thomaston, Georgia for 9 years. She has taught in public and private schools in her area. She spent 3 years in first grade, 1 year in fifth grade, and 5 years in second grade. Next year she will be taking the plunge into Kindergarten and is very excited about it because she has always wanted to. Ashley has a wonderful husband and a beautiful 6.5 year old daughter. She is a very creative person and is especially good at writing (poetry). She also has a knack for marketing which she has some experience with. She was her father's office manager at the family pharmacy for 6 years. Ashley loves to think outside of the box and reach new people with new ideas. This is why I think if she wasn't a teacher, she would be great a running her own business such as a daycare or marketing firm. This 107 page unit has got it ALL! 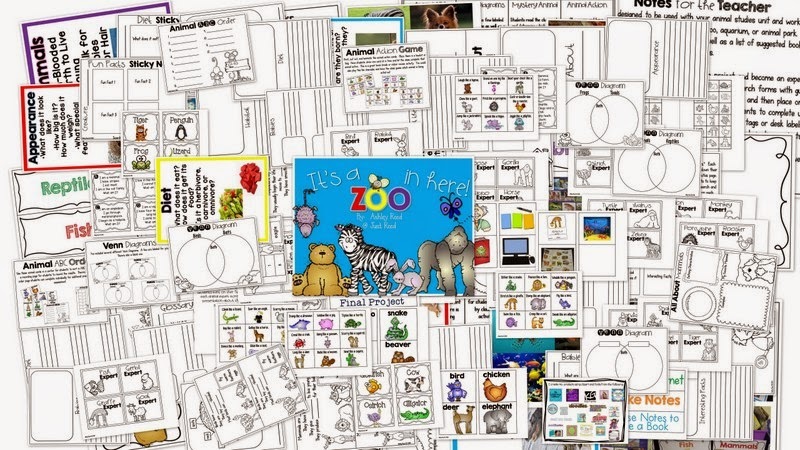 Everything that you need to teach a complete unit on zoo animals is provided in this product. Geared toward students in grades K-3, this steal of a deal will have your students reading, studying, writing and talking about animals for a full 12 days! She even included suggested daily lesson plans! Check out her blog post [here] to see how she uses this in her classroom! Isn't Ashley an amazing, talented educator and woman? I think so! 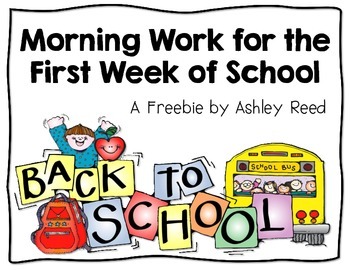 When you hop over to her TpT store to check out her products, be sure to grab this FREEBIE to add to your bag (computer file) of resources. I hope you enjoyed meeting my friend, Ashley! If you would like to meet more people, hop over to The Teaching Tribune's Link Up by clicking the button below!